Established in 1952 in Mysuru and 2000 at Suttur, Gurukulas offer residential education facilities to the deserving spiritual and religious sadhakas. Agamas (Shastras) and Vedas are taught at the Gurukulas for Sadhakas (Practitioners). The learning of Veda and Agamas in the early morning is followed by regular school/colleges elsewhere. After completing education, while some Sadhakas pursue higher studies in Mysore and other cities, others will either become pontiffs of different Maths or engage themselves in religious activities. 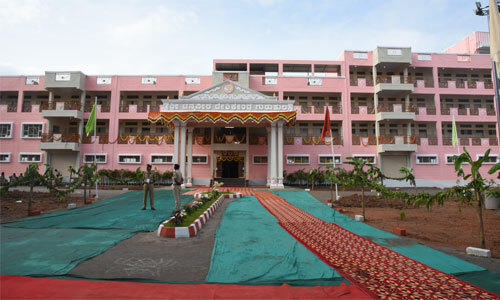 A new building housing the Gurukulas has been constructed and named as the ‘Channaveera Deshikendra Gurukula’ building, at Suttur Srikshetra. 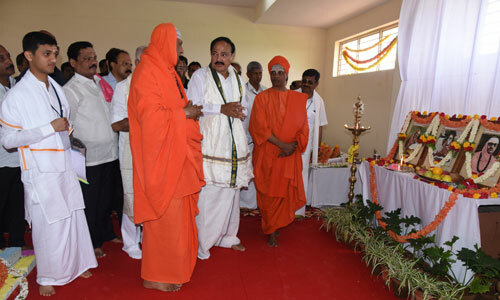 It was inaugurated by the Hon’ble Vice-President of India, Sri M. Venkaiah Naidu, on August 28, 2018, on the occasion of Paramapujya Jagadguru Sri Shivarathri Rajendra Mahaswamiji’s 103rd Jayanthi celebrations. 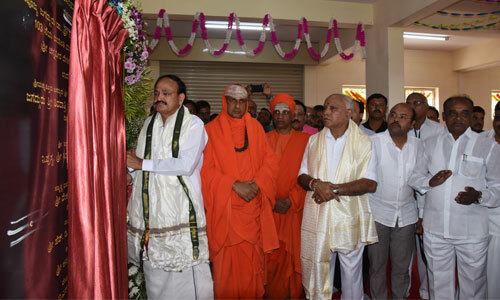 Hon’ble Vice-President of India Sri M. Venkaiah Naidu unveiling the plaque as part of the inauguration ceremony of the Channaveera Deshikendra Gurukula Building, at Suttur Srikshetra, on August 28, 2018, on the occasion of the 103rd Jayanthi Celebrations of Paramapujya Jagadguru Sri Shivarathri Rajendra Mahaswamiji, Sri Vajubhai Rudabhai Vala, Hon’ble Governor, Government of Karnataka, Paramapujya Jagadguru Sri Shivarathri Deshikendra Mahaswamiji, present Pontiff of Suttur Math, former Chief Minister of Karnataka Sri B.S. Yeddyurappa and other dignitaries are seen.